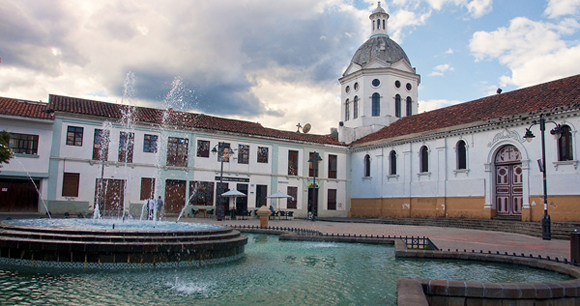 An expat in Cuenca, Ecuador talks about the great care he received at Santa Ines Hospital, the low cost of high quality healthcare in Ecuador and the availability of most common prescription medicines (usually available without a prescription). Seeing a doctor in Cuenca is an easy matter. No appointment necessary in most cases. Excellent service and good quality for a much lower cost that the U.S.
My experience was with Santa Ines near Centro. Full hospital and emergency services. Great quality of care. WeExpats provides international health insurance to expats and travelers in Ecuador. They focus on the highest coverage for the lowest cost with global coverage. Click here today to learn more and get a free quote! Many common meds are available without prescription for a fraction of the price. New meds may not be available and can be expensive if they have to be imported. Names of meds are different than in the U.S., and you may have to go to a doctor initially to get them translated. Bringing your prescription forms from home will help. We didn't use our U.S. insurance because the deductibles would have been more than what we paid for care in Cuenca. Get a quote for expat health insurance in Ecuador from our partner, Cigna Global Health. Expats in Ecuador share their experiences with healthcare and overseas medical insurance in Ecuador. Read recent healthcare reports submitted for: Cuenca, Quito and Montanita. Help others moving to Ecuador by answering a set of questions about health insurance, public healthcare in Ecuador, prescription medicine, quality of medical care and emergency services. An expat mom in Ecuador talks about her experiences finding a doctor, at the hospital, during childbirth and more.